The core urban challenge of our time is ‘affordable proximity’: how can ever larger numbers of people live and interact economically with each other while keeping the cost of living – especially housing – affordable? In decentralized, post-WW2 Sunbelt cities built around the car, commuter rail solutions don’t work and an alternative is needed, especially as we see autonomous vehicles on the horizon. 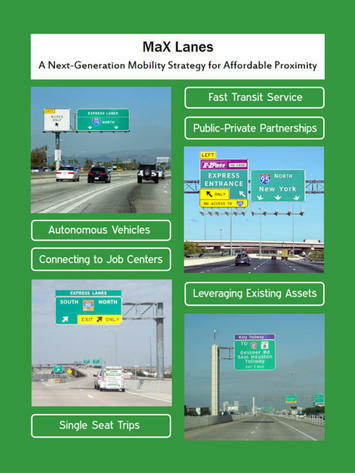 This briefing explores a next-generation mobility strategy for affordable proximity: MaX Lanes (Managed eXpress Lanes) moving the maximum number of people at maximum speed and allowing direct point-to-point single-seat high-speed trips by transit buses and other shared-ride vehicles today, and autonomous vehicles in the future. It includes a case study of Houston with a proposed network as well as profiles of similar lanes around the country.